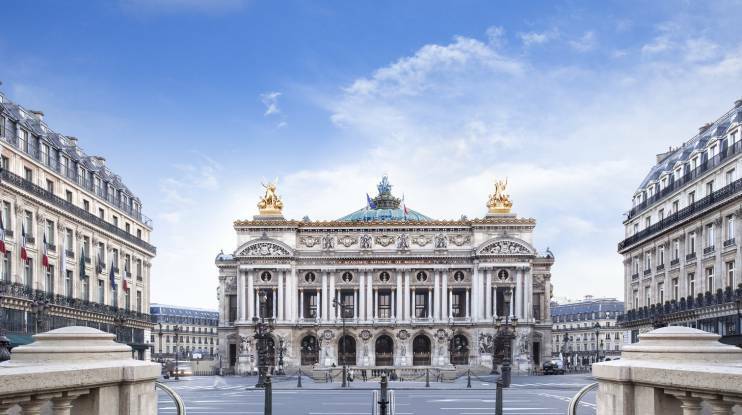 The Palais Garnier, an architectural masterpiece inaugurated in 1875 at the request of Napoleon III, is without doubt one of the most dazzling monuments in Paris. A world of elegance, not to be missed! 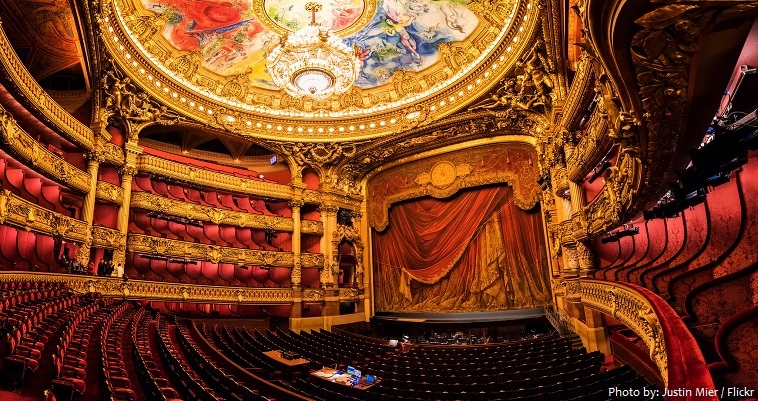 To visit the the Palais Garnier is to enter a realm of pomp and refinement in which the poetry, audacity and genius of Charles Garnier have managed to create a unique harmony between the sculpture, painting and architecture. A showcase for dance and opera, the building dazzles with its balconies in onyx, its luxurious marble, its delicate frescoes and its rich gilding. A real gem in the heart of Paris. From the monumental staircase to the majestic Grand Salon, each room of the Palais Garnier is full of elegant details that compose a magical decor. An architectural symphony, created by using several styles. And an architectural ‘first’ at the time, it was to inspire other buildings, making it an exceptional monument! 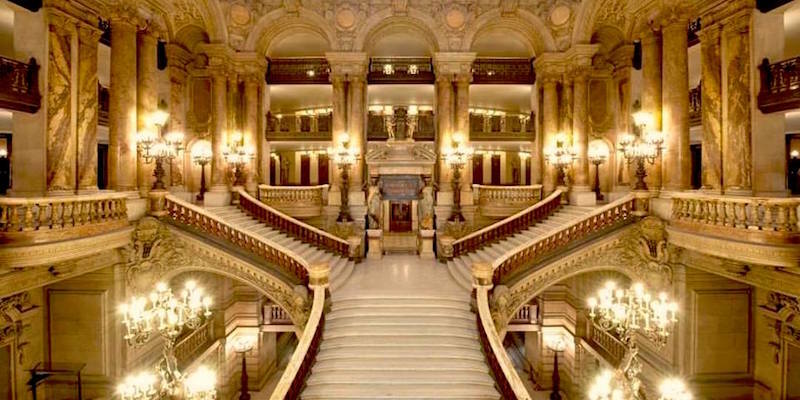 The visitor will enjoy taking in the opulence and history of the Palais Garnier. The decor includes busts of famous names from the world of opera, as well as mythological figures, allegorical sculptures and unexpected motifs like the salamander, the owl or the bat. A fabulous atmosphere permeates the building. As for the ceiling of the theatre, it boasts a 220 m² monumental painting by the artist Marc Chagall! The fresco’s modern and contemporary look is a striking contrast to the red and gold of the auditorium below. A real high point of the visit, this auditorium brings undeniable modernity to the building and contributes to making it an outstanding monument. 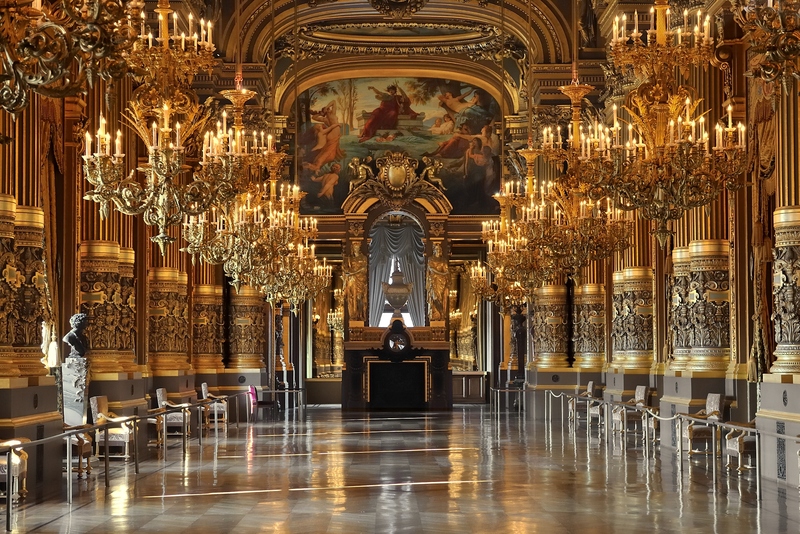 A visit to the Palais Garnier can be undertaken independently or with a guide. Multimedia audio guides (on smartphone or iPad) are available to the public to learn more about the building and unravel its secrets. Ideal for exploring the opera house in greater depth: anecdotes, details and documents from the era make a visit even more enriching and provide a better appreciation of the exceptional scale of this lavish ‘palace’. For a cheap bed in Paris + a free early french breakfast, the BVJ Opéra-Montmartre, the first historical Paris youth hostel, manage by the 1st no-profit youth-hostelling organisation in Paris, is open 24 hours every day, and located in one of the capital’s loveliest neighbourhoods, offering low-cost accommodation, that is young and friendly a with a truly exceptional location : between the Opéra Garnier neighbourhood – a key shopping destination in Paris – and Montmartre Hill, very close to Sacré Cœur! The BVJ Opéra Montmartre Youth Hostel is located at the very heart of the Nouvelle Athènes neighbourhood – full of theatre, shows and Parisian life – and close to the Saint-Georges area of Musée Gustave Moreau and the Eglise de la Trinité. 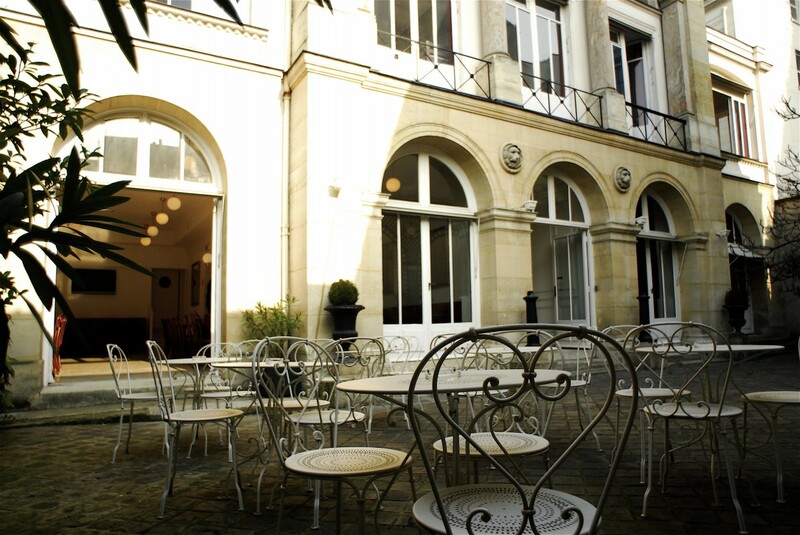 Steeped in history since the 18th century, the youth hostel is in an exceptional Parisian hôtel particulier (private parisian mansion house) built by the explorer Bougainville. In its time, it has been home to Princess Wagram, Maréchal de Gouvion Sain Cyr, and the actress Mademoiselle Mars !